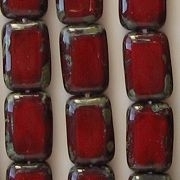 12mm (long) x 8mm (wide) x 4mm (thick) rectangles with hand-polished sides. 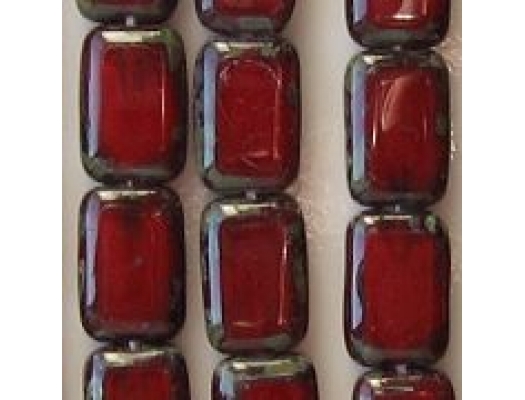 Milky dark red glass with a mottled "picasso" coating on the edges which is a mixture of black and pale olive green (and possibly other colors). 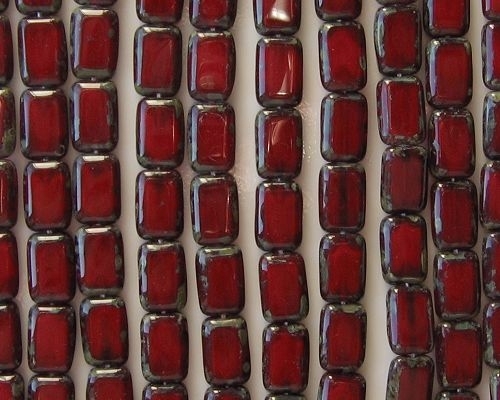 I eliminate seriously defective beads before shipping.